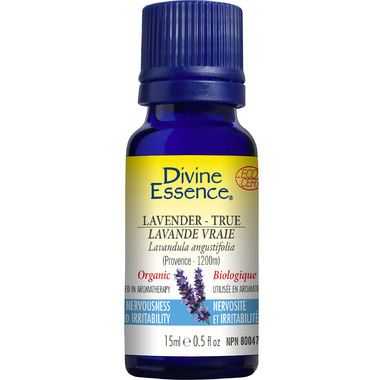 Divine Essence True Lavender (Provence) Organic Essential Oil has a wonderful floral scent that is soothing and balancing. This high elevation lavender is the best lavender I've ever smelled! I am not really a fan of most lavender oils. The linalyl acetate content is very high, which is the calming molecule. This is my favorite smell now!